This entry was posted on November 6, 2015 by Texas Safety Supply. Welding is an industrial process which involves the joining of metals. It forms a vital process in the construction and maintenance industries and has been attracted significant attention from OSHA. Long-term exposure to metal fumes can lead to pneumonia, asthma and cancer. Selecting the appropriate type of respirator is, therefore, essential. As an employer, you will need to take into account guidelines laid down by OSHA to select samples of different sizes, styles and brands. Apart from fitting, size, weight and comfort will also need to be taken into consideration while selecting these respirators. The 8512 n95 respirators offer optimum respiratory protection during welding or soldering where there is a presence of metal fumes. The product is highly suitable for use in metal pouring and welding. It comes with 3 M’s proprietary technology and microfiber filter media which is electrostatically charged to ensure easy breathing. 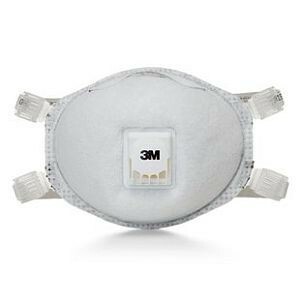 If you are looking for a viable alternative, then 3m Particulate Welding Respirator 8212 would be a suitable option. It has been designed to offer respiratory protection for processes like welding where metal fumes are present. It comes with a 3M™ Cool Flow™ Valve and foam face seal. It will protect your workers from specific type of non-oil particles and ensure optimum comfort. It is flame resistant and ensures that there are no risks related to eyewear fogging. These respirators are ideal for use in construction, mining, oil and gas and transportation. The 8514 3m n95 respirators come with N95 approved filter piece particulate respirator. They are suitable for use on certain types of non-oil based particles. It is flame resistant and comes with adjustable head straps to ensure comfortable fitting. These respirators are ideal for use in applications like torch cutting, welding, soldering, brazing, metal pouring with stainless aluminum. 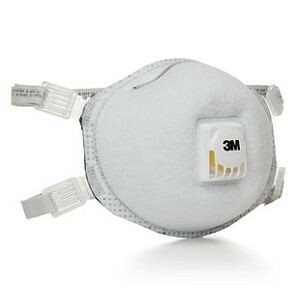 To enhance the comfortability of the wearer, the respirator comes with 3M Cool Flow™ Exhalation Valve. The product comes with fully adjustable straps and has long-term wearability. Once your employees become acquainted with these respirators, their efficiency and productivity will increase. Your business will experience long-term growth as a result.